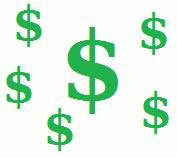 Energy usage on the EPA-type electronic air cleaners has been reported to be as much as $30 per month! Also, let us consider the cost/value of customer service. Remember the last time you called a large company to speak with someone from customer service? Did you talk to a human? Did they speak English? Did they have any clue about the product? Did you really get your problem resolved the way you had imagined? What price can you put on speaking with knowledgeable humans about the product that they believe in? Not that we can quantify the value of true customer service, but we would like for you to consider this as part of the value of dealing with Electro Breeze Supply. The replacement pads on the Electro Breeze whole house air cleaner should be replaced every 2-4 months at a cost of approximately $15 per pad. Keeping in mind that the cost of a paper pleated filter with the label of Allergen will cost the same amount or more and reduce your efficiency to about 10%, making the Electro Breeze air purifier for asthma worth more than its cost. When comparing the Electro Breeze electrostatic furnace filters to any other EPA-type electronic air cleaner, I can not help but think of a bagless vacuum cleaner. It works like a bag-type vacuum, but when it comes time to clean it out it does not seem worth the price. The Electro Breeze has a disposable filter pad that is easily replaced within minutes and does not stir up all the dust it just cleaned out of your air. The other electronic air cleaners require dismantling the unit to clean it out with water (must be fun about January time), dry it completely, then reassemble. They suggest every 6-9 months, but if you have more than average dust or smoke or animals or paper products, you will be cleaning your unit every other month. Another thing to consider is the fact that all of these types of electronic air cleaners produce ozone as a by-product when the plates start to get dirty.